Original by Asus Malaysia with 6 months warranty! Fits Perfectly in Your Palm. ASUS ZenPower's built-in 10050mAh battery offers substantial capacity to keep not just one, but multiple devices charged and ready to go. Light weight aluminum outer casing for beauty & strength. It's ergonomic feel and a smooth, premium finish gives it a look of luxury. The ASUS ZenPower is designed with anodized Aluminum casing to create a device you'll want to show off. Choose from a range of colors and cases. Countoured for the perfect fit, ZenPower Bumper adds an extra layer of tactile toughness that's as vibrant as the color you choose! Quickly put life back into all your devices with ASUS ZenPower. It offers high-speed, high-efficiency charging with up to 2.4A output. We take pride in running thousands of tests to provide you peace of mind and knowledge that your ASUS ZenPower can withstand 60kg of weightload and will make it through the day-to-day usages. 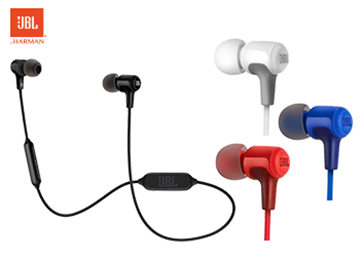 JBL E25BT Wireless In-Ear Headphones - Original!